* keynote speaker, "Many-core Computing - Can compilers and tools do the heavy lifting," IEEE International Parallel and Distributed Processing Symposium, Rome, Italy, May 2009. * IEEE IPDPS Charles Babbage Award "for visionary leadership & contributions to exploitation of instruction-level parallel processing," May 28, 2009. * Keynote speaker, HPC Zurich, "Many-core computing - Current Victories and Coming Battles in Application Development", September 8, 2008. * Distinguished Lecture Series speaker, Samsung Research, "Many - core GPU Computing - Current Victories and Coming Battles," Seoul, Korea, June 26, 2008. * Distinguished Lecture Series speaker, Institute of Computing Technology, Chinese Academy of Sciences, "Programming Massively Parallel Processors - The CUDA experience," June 21-22, 2008. * Keynote Speaker, "The Universal Parallelism Vision from Illinois," Intel Programming Systems Conference, Santa Clara, CA, April 22, 2008. * Keynote Speaker, "Many-Core GPU Computing - Current Victories and Coming Battles in Application Development," San Jose, CA, April 1-2, 2008. * Keynote Speaker, "GPU Computing Research at UIUC," Shanghai Many-Core Workshop, Shanghai, China, March 27-18, 2008. * Distinguished Lecture Series Speaker, Ohio Supercomputing Center and the Ohio State University and the Ohio Supercomputing Center, "Accelerating Science and Engineering Applications with GPU Computing," Columbus, OH, February 19, 2008. * Distinguished Lecture Series Speaker, Department of Electrical and Computer Engineering, University of Toronto, "GPU Computing - why is it exciting so many application developers," Toronto, Ontario, November 30, 2007. *Keynote speaker, "Top Five Reasons Why Sequential Programming Models Could be the Best Way to Program Many-core Systems," the 39th Annual ACM/IEEE Symposium on Microarchitecture, Orlando, Florida, December 11, 2006. * Keynote speaker, "Top Five Reasons Why Sequential Programming Models Could be the Best Way to Program Many-core Systems," the 39th Annual ACM/IEEE Symposium on Microarchitecture, Orlando, Florida, December 11, 2006. *2006 ISCA Influencial Paper Award for 1991: "IMPACT: An Architectural Framework for Multiple-Instruction-Issue Processors," by P.P. Chang, S.A. Mahlke, W.Y. Chen, N.J. Warter, and W.W. Hwu, in Proceedings at the International Symposium on Computer Architecture, 1991. * W. W. Hwu, "reaking the Memory Wall for Scalable Microprocessor Platforms," Keynote, International Conference on Parallel Architectures and Compilers, Franc e, October 1, 2004. * W. W. Hwu, "Ultra-Efficient Computer Architectures, how do we get there?," Distinguished Lecture Series, Department of Computer Science and Engineering, University of Minnesota, October 20, 2003. * W.W. Hwu, "ROAR: Runtime Optimization Architecture for EPIC Processors," Distinguished Lecture Series, Department of Electrical Engineering, University of Southern California, April 3, 2002. * W.W.Hwu, "Instruction-Level Parallel Processing - The IMPACT Perspective," UCLA Jon Postel Lecture Series, Department of Computer Science, March 14, 2002. * Keynote speaker, "Workload Characterization and Runtime Code Adaptation," the Fourth IEEE International Workshop on Workload Charaterization, December 1, 2001, Austin, TX. * Keynote Speaker, "Workload characterization and Run-time Code Adaptation," Workshop on Workload Characterization, December 1, 2001. * Tau Beta Pi 2001 Daniel Drucker Eminent Faculty Award. College of Engineering, University of Illinois, Urbana-Champaign. * 2001 Tau Beta Pi Daniel C. Drucker * Eminent Faculty Award, College of Engineering, University of Illinois, Urbana-Champaign. * Keynote speaker, "EPIC Architecture," All-Spain Parallelism Conference, Murcial, Spain, 1999. * 1999 ACM Grace M. Hopper Award. * Courant Institute Series Distinguished Lecturer, "Predicated Microprocessor Architectures and their Enabling Compiler Technology," NYU, New York City, October 2, 1997. * Keynote speaker, "VLIW: Is it for Real This Time?" the 27th Annual ACM/IEEE Symposium on Microarchitecture, San Jose, CA,December, 1994. 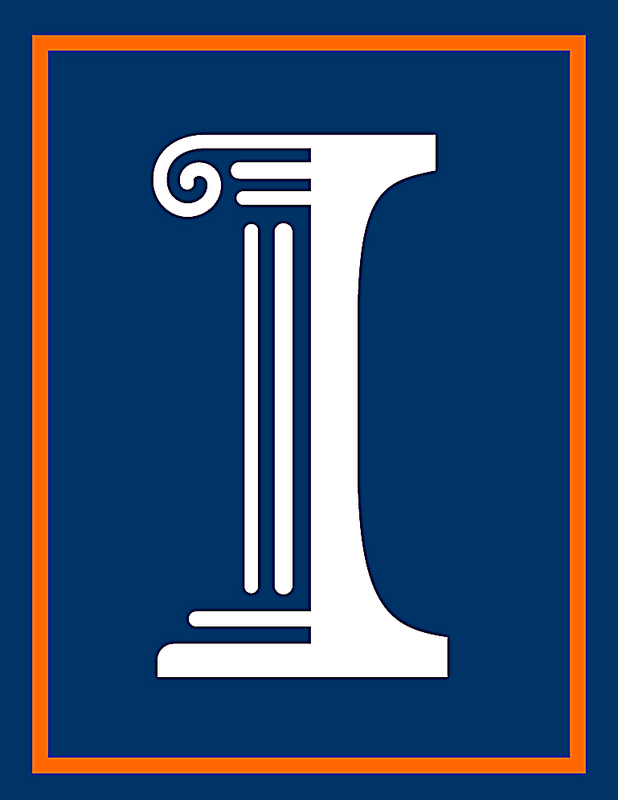 * Senior Xerox Award for Faculty Research, College of Engineering, University of Illinois, "For recognition of excellence in engineering research during the past five academic years." * Best paper award for, "Comparing Static and Dynamic Code Scheduling for Multiple-Instruction-Issue Processors," in the Proceedings of the 24th Annual ACM/IEEE International Symposium on Microarchitecture, Albuquerque, New Mexico, November 18-20, 1991. * Best paper award for "HPSm2: a Refined Single-chip Microengine," presented at the 21st Annual Hawaii International Conference on System Sciences, January, 1988. * Best paper award for "An HPS Implementation of VAX; Initial Design and Analysis," presented at the 19th Annual Hawaii International Conference on System Sciences, January, 1986. * 2002 ECE Outstanding Teacher Award. "For sustained excellence in the teaching of Computer Engineering courses and in guiding undergraduate students." * Inclusion in the incomplete list of teachers Ranks as Excellent, University of Illinois, Fall 1998, Spring 1998. * 1997 Eta Kappa Nu Holmes MacDonald Outstanding Teaching Award. * Inclusion in the incomplete list of teachers Ranks as Excellent, University of Illinois, Fall 1996, Spring 1996. * Inclusion in the incomplete list of teachers Ranks as Excellent, University of Illinois, Fall 1995. * Inclusion in the incomplete list of teachers Ranks as Excellent, University of Illinois, Fall 1991, Spring 1991. * Inclusion in the incomplete list of teachers Ranks as Excellent, University of Illinois, Spring 1989. * Inclusion in the incomplete list of teachers Ranks as Excellent, University of Illinois, Spring 1988. IEEE IPDPS Recognition of Service Award. ACM Association for Computing Machinery Recognition of Service Award. IEEE Computer Society Certification of Appreciation, "In recognition to your valuable contribution as Program Chair for HPCA-7." IEEE Computer Society Certification of Appreciation. ACM Recognition of Service Award, "In appreciation for Contributions to the Association For Computing Machinery - Co-chair ISCA'94." IEEE Computer Society Certificate of Appreciation. IEEE Computer Magazine 1993 list of distinguished reviewers. IEEE Computer Society Certificate of Appreciation, "For service as Both General and Program Chair for the silver anniversary MICRO conference, making the conference an outstanding success". IEEE Computer Magazine 1993 list of distinguished reviewers, "for dedication, quality of work, and expertise".